Most college football fans recognize the term Separation Saturday. This refers to one or two Saturdays during the college football season when several meaningful games are played between top-ranked opponents that will separate the real contenders from the almost contenders. Often, the outcomes of these games truly separate the teams and provide a glimpse into who will be in contention for the national championship. 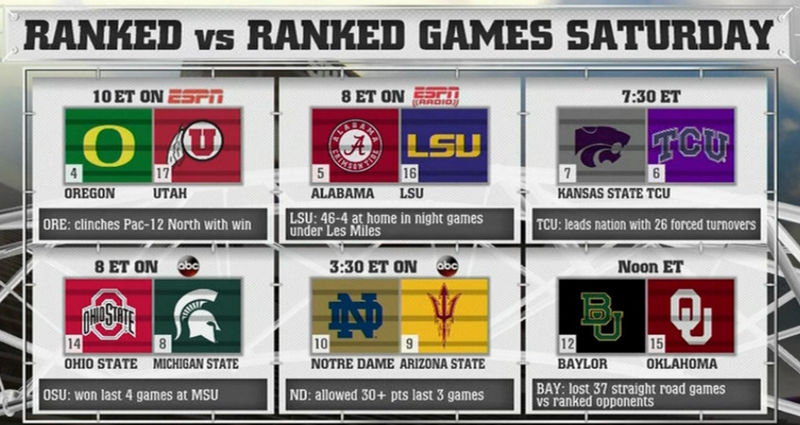 This year with the new playoff system in place it seems every Saturday is Separation Saturday. The most recent Separation Saturday occurred last month when there were six matchups of top 20 teams including Oregon – Utah, Alabama – LSU, KSU – TCU, MSU – OSU, Notre Dame – ASU, and Baylor – Oklahoma. On that day, Separation Saturday provided great clarity as five of the six winners are still in contention for a playoff berth while the six losers and ASU have been eliminated from contention. Jesus, the man, was expressing His feelings of abandonment as God placed the sins of the world on Him – and because of that had to “turn away” from Jesus. As Jesus was feeling that weight of sin, He was experiencing separation from God for the only time in all of eternity. Jesus was made a sin-offering, and He died in our place, on our account, that He might bring us near to God. As recorded in John 19:30 Jesus said, “It is finished.” The Greek word for “it is finished” is tetelestai, an accounting term that means “paid in full.” When Jesus uttered those words, He declared that He wiped away our debts forever. Separation Friday provided the most decisive, important outcome in history – Jesus saved the world. As we start the Christmas season and we celebrate Jesus in a manger also remember the cross. Remember what Jesus chose to do on the cross for each of us: He chose to carry out his most difficult moment of being separated from His Father for each of us.